VTA is developing a new transit service plan that will be implemented when BART service to Santa Clara County begins in fall 2019. 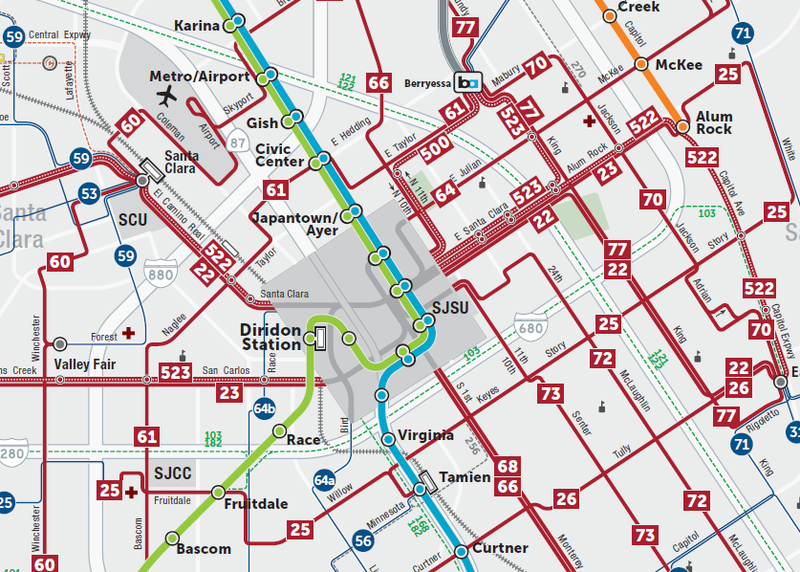 In 2017, VTA adopted the Next Network Plan, which was a from-scratch redesign of the transit network that aimed to increase ridership and improve VTA’s cost-effectiveness by expanding the network of frequent routes. A change in VTA’s financial outlook prompted revisions to the Next Network Plan in early 2019. VTA released a revised plan, called the 2019 New Transit Service Plan for public comment in January and February of 2019. In March, VTA staff considered over 1,500 public comments while developing the Final 2019 New Transit Service Plan. The Final 2019 New Transit Service Plan makes seven changes from the Draft Plan including expanding service in Almaden, retaining late night Route 22 service and restructuring the Express Bus service model. The Final 2019 New Transit Service Plan will be reviewed by VTA’s Advisory and Standing Committees in April 2019 and VTA’s Board of Directors on May 2, 2019.